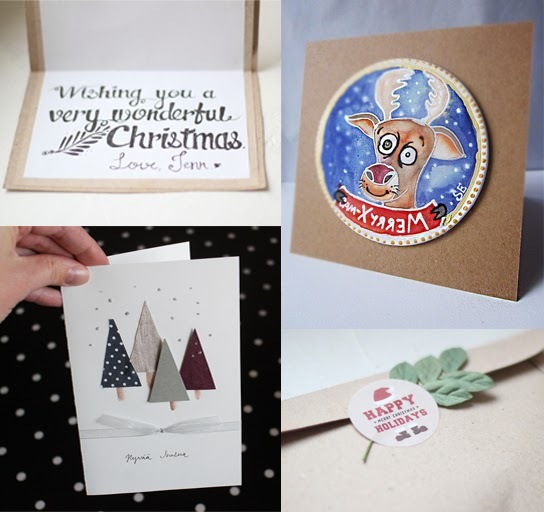 Cards created by Jenn, Simone and Kaisa. Plus a detail from Jenn's envelope. This Christmas we decided to arrange a card swap. We had nine creative participants and all addressees were randomly picked. Everybody sent and received a handmade holiday card. 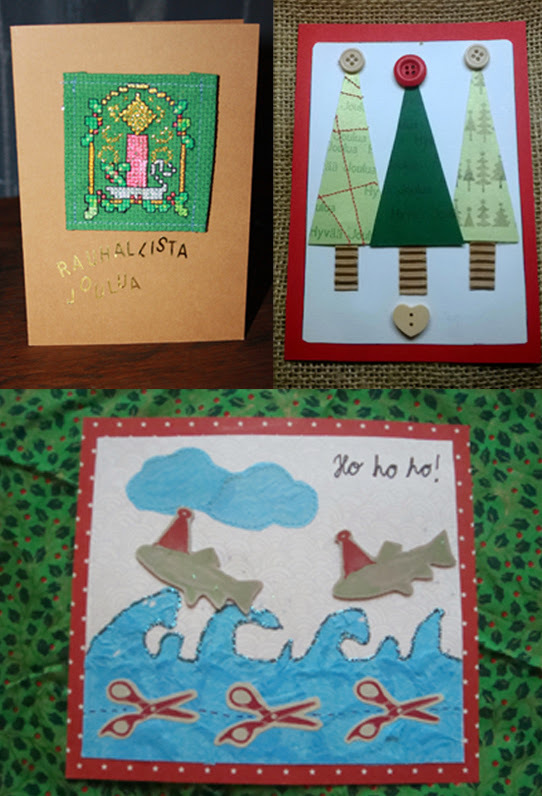 Cards made by Niina, Carey and Raisa. 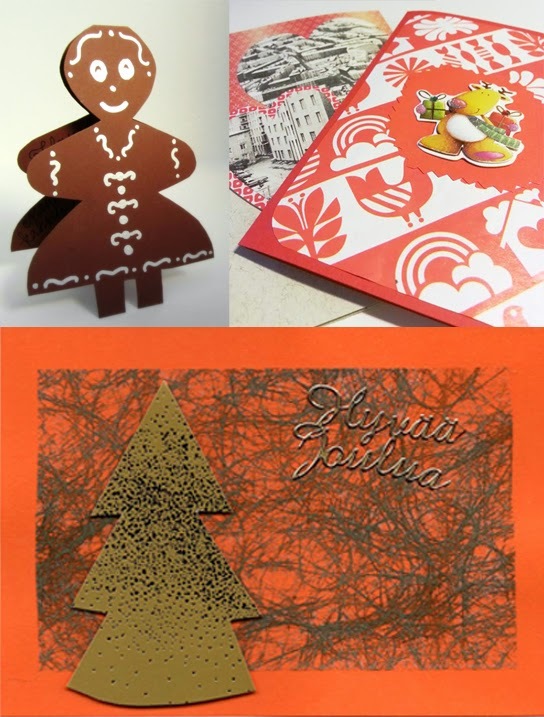 With all these handcrafted greetings, Finland Handcrafters Team wishes happy holidays to all of you as well! Hyvää Joulua ja Onnellista Uutta Vuotta! Cards sent by Ruusu, Nelli and Branko.